My paintings featured in the "Mission Statement" group exhibition. 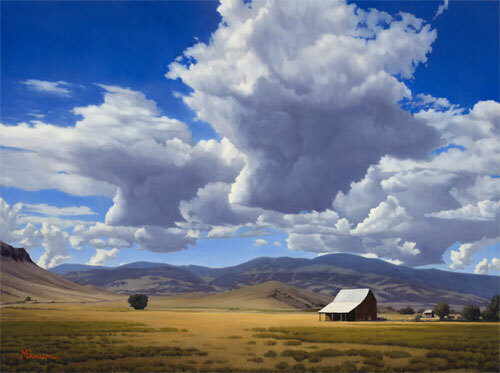 Introducing the public to the fine art of many of the state’s top artists. 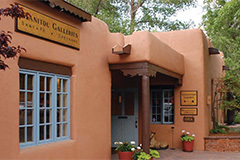 Opening Night Patron/Gala is May 3rd from 5:30 p.m. – 8:30 p.m. This is a ticketed event. Tickets are available through the Governor's Art Show website at $75 per person. 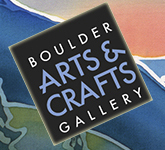 The show is open to the public on Saturday, May 4 from 10:00 a.m. – 4:00 p.m. The show will run through June 2nd. 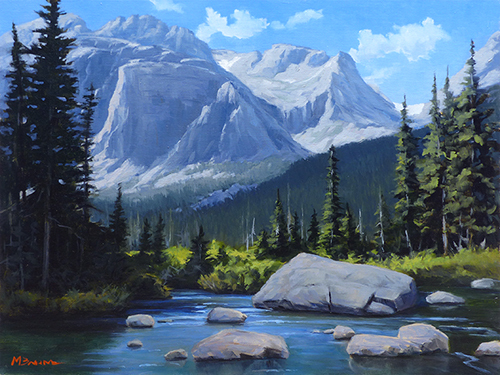 Sale proceeds support Colorado artists and many youth and community needs in Larimer County, Colorado through the Loveland and Thompson Valley Rotary Clubs. 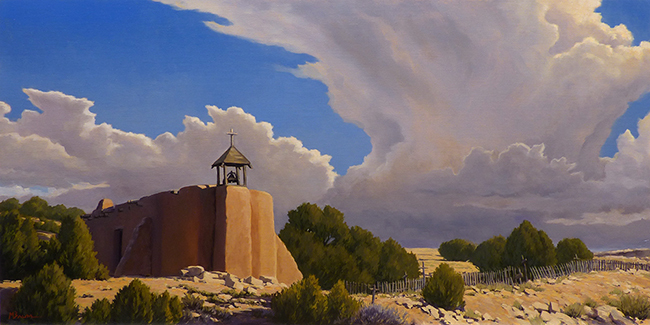 "Last Light on Pikes Peak"
See it at the Governor's Art Show. I'm continuing to paint at a stepped-up pace. 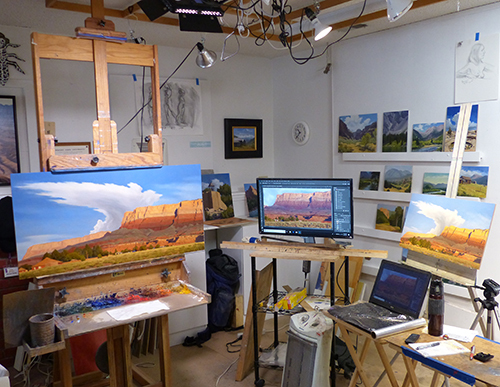 The peice on the easel is a large 20" x 40" painting of the Vermilion Cliffs. Note the smaller "study" on the right. Studies can be invaluable when tackling a large painting. As with many of my studies, this one is a finished painting in its own right and will be for sale when I've finished the large painting. 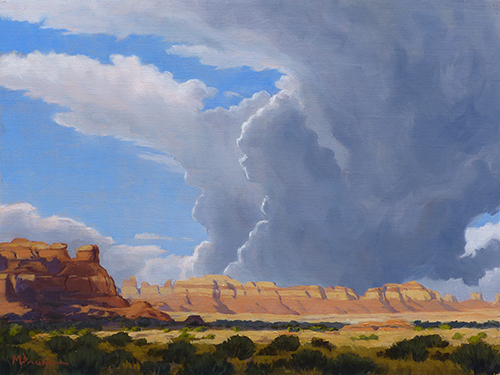 "Storm Brewing over the Canyons"